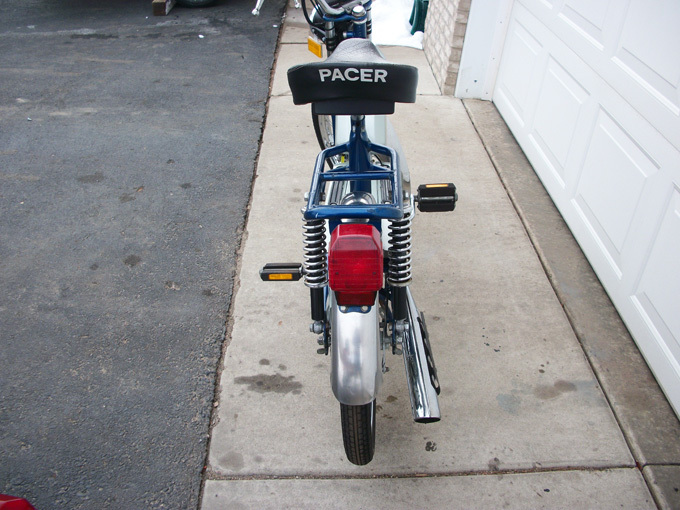 A Partially restored 1977 Pacer P-14 with a Morini M01 Engine. 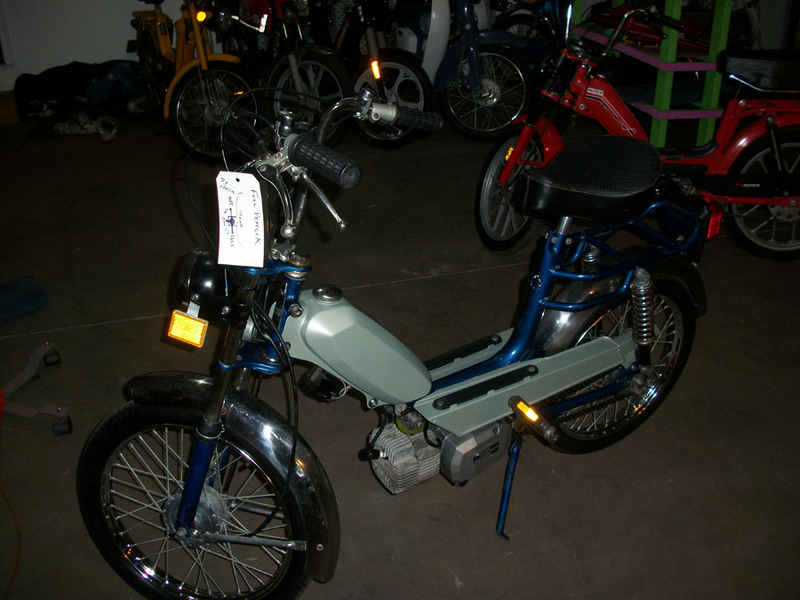 This Italian moped was a very mass produced version that found its way into the US under many, many different brand names and only minor subtle differences. 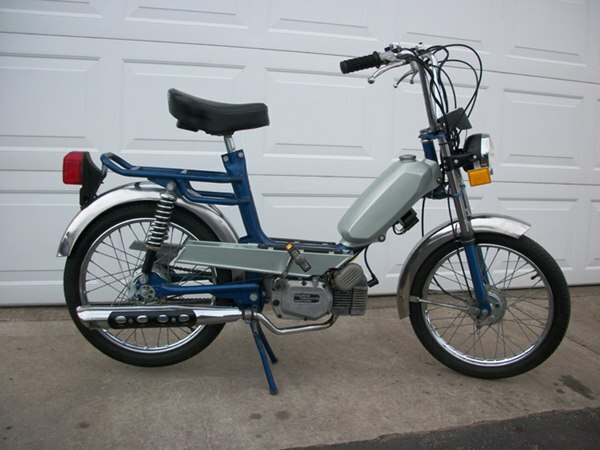 The frame is very well built and rugged. 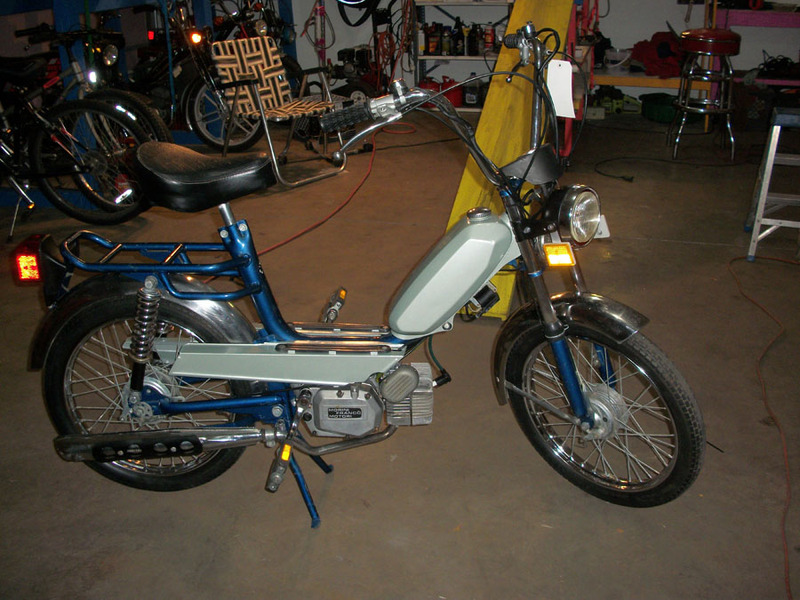 This moped went through a very quick semi-restoration that included a rebuilt engine and new paint on the tank and side covers. It could have have very easily been converted to a full restoration project but there wasn’t a lot of demand for one in that condition. 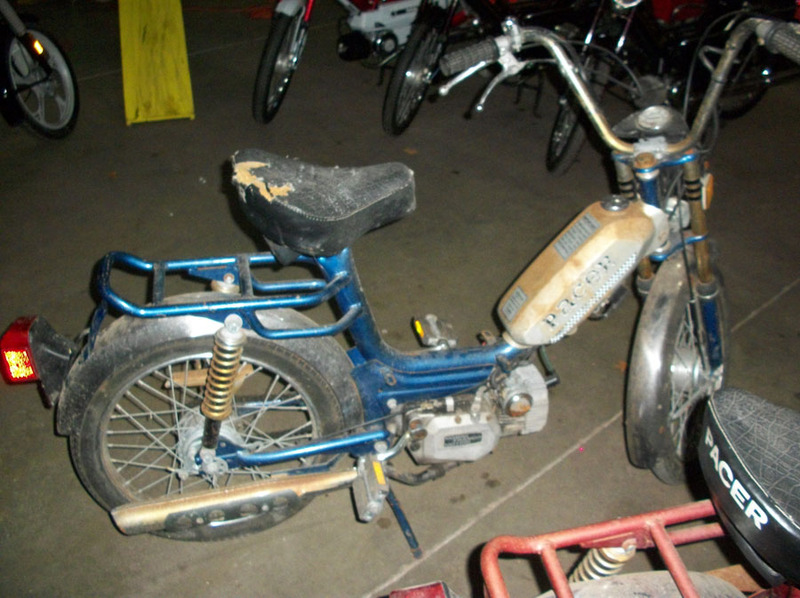 The frame was left alone and only touched up and some parts were swapped out from a donor bike. The entire project from start to finish took place over 6 days. 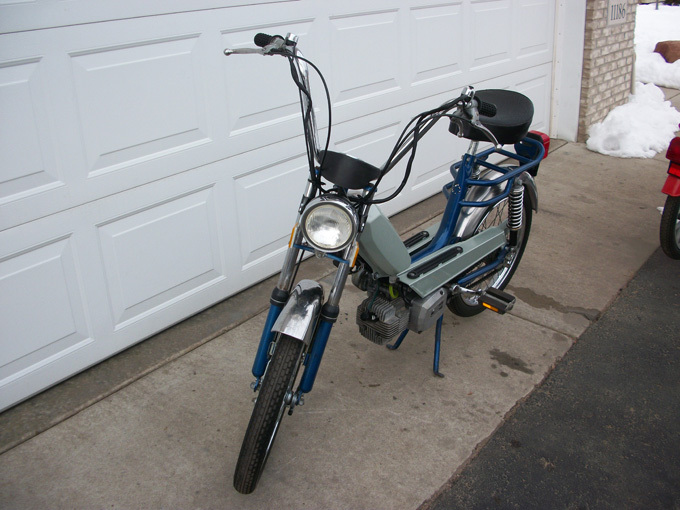 These pictures are of the finished project.